Val D’Isère offers legendary skiing in the French Alps. The ski region is now marketed as L’Espace Killy – including neighboring Tignes ski resort, honoring the famed French ski racer Jean Claude Killy. Linked together by multiple lifts, Val D’Isère Tignes offers skiers tons of terrain, high elevation skiing on two big glaciers, plenty of prepared (groomed) trail skiing, pus loads of high level off-piste terrain to explore. 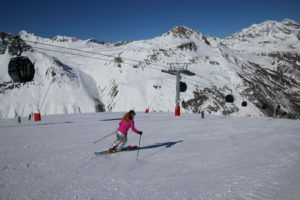 The two ski resort of Val D’Isere and Tigne couldn’t be more different, and their skiing has distinct variety as well. Val D’Isère skiing is vast and historic, dating back to medieval times in the alpine village. 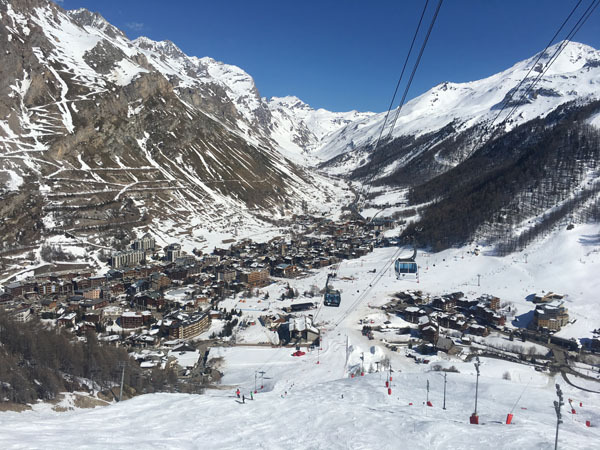 Val D’Isère hosted the Olympic downhill in 1992, and you can ski the steep long face of Bellevard dropping precipitously to the village, or explore the more mellow undulating fun ski flanks of Solaise and Vallons areas to skiers left. 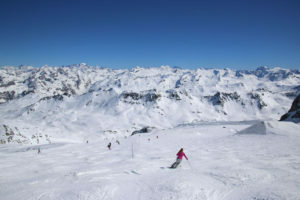 Ski Val D’Isère Tignes to discover some of the biggest skiing in the world. 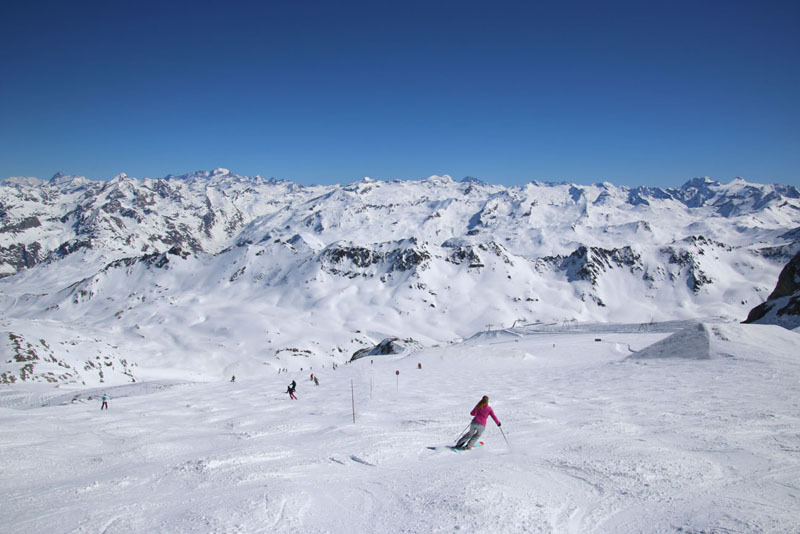 Check out other nearby ski resorts you could include in your French Alps ski tour including Les Trois Vallées – home to Courchevel, Grand Massif, and Paradiski – La Plagne and Les Arcs. 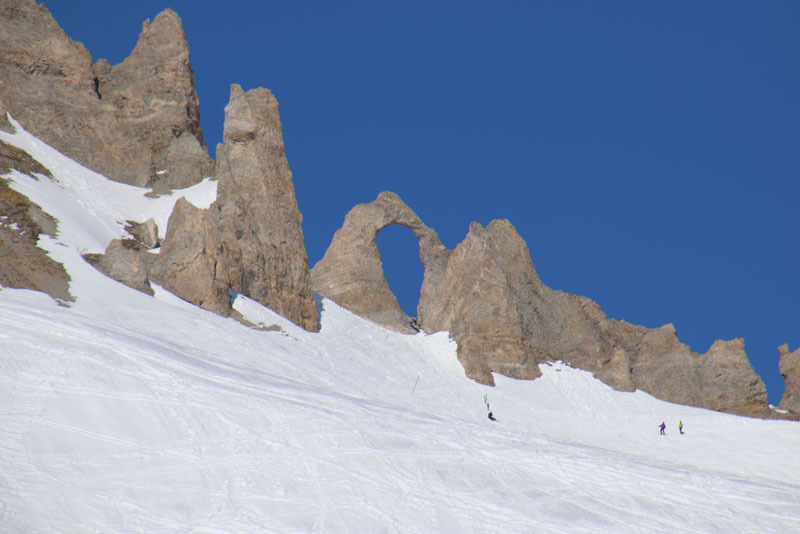 – some of the Top French Family Ski Resorts.